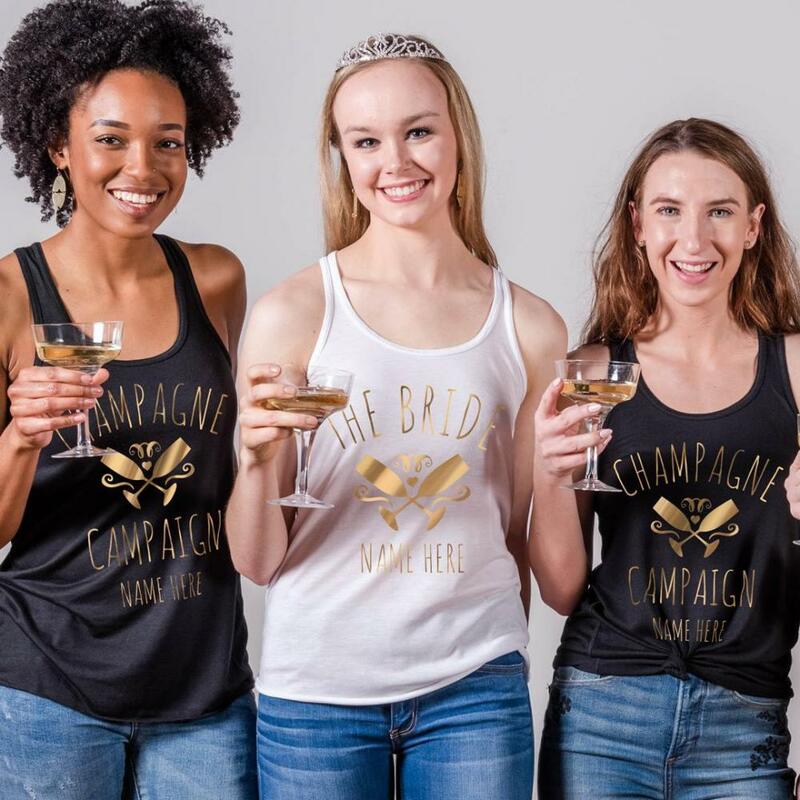 Hey there, champagne bride! 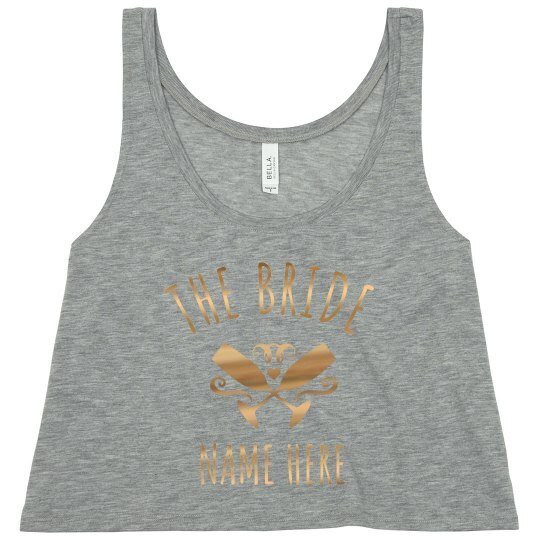 Customize a cute, gold metallic tank top to wear out during your big, bachelorette bash! 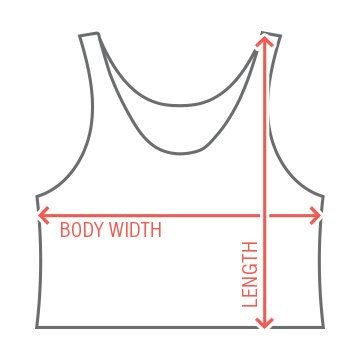 Make sure you check out the matching metallic version for your crew to wear!